Made up of four interconnected ski areas totalling over 3000 acres, Perisher is the largest ski resort in the Southern Hemisphere. With all that space comes a great deal of variety and Perisher’s 47 lifts can take students to a new run every day. Largest ski resort in southern hemisphere47 liftsNeon night skiingSnow-tubing parkSnow shoeingSnow groomer tour. Board your coach Meet the group for departure from school toward the snowy mountain peaks of Perisher. Arrival Check in to your accommodation before you collect your lift passes, snow gear and equipment. Free time Enjoy some free to build snowmen and soak in the stunning views of Kosciusko National Park, before retiring to your accommodation for a tasty dinner. 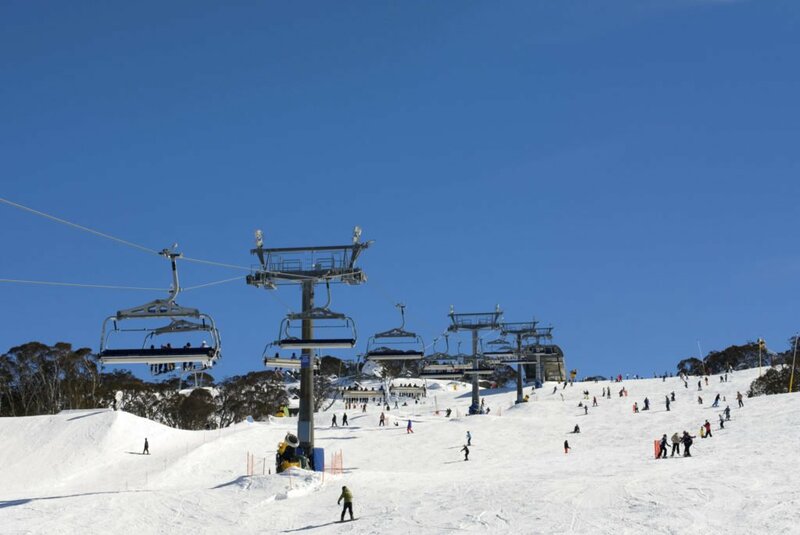 Hit the slopes Refuelled and ready to go, take the eight-seater chairlift to the highest lift point in Australia and head back out on the slopes for more adventures. Optional activity Learn about mountain maintenance on a snow groomer tour. Hit the slopes Head back out on the slopes for more adventures and be amazed by the professional riders at Perisher's five terrain parks. Optional activity Traverse the alpine environment on a snow-shoe tour. Ski/Snowboard Lesson Return to the slopes with determinatin for your lesson. Hit the slopes Glide down the mountain in your afternoon free time. Fireworks display Enjoy a wonderful fireworks show in the evening. Thank you for your interest in our WorldStrides Perisher Tour! Please tell us a little more about yourself so we can get you sent to the right place.